The aim of this tutorial is to guide you how to crack the W.E.P Encryption . 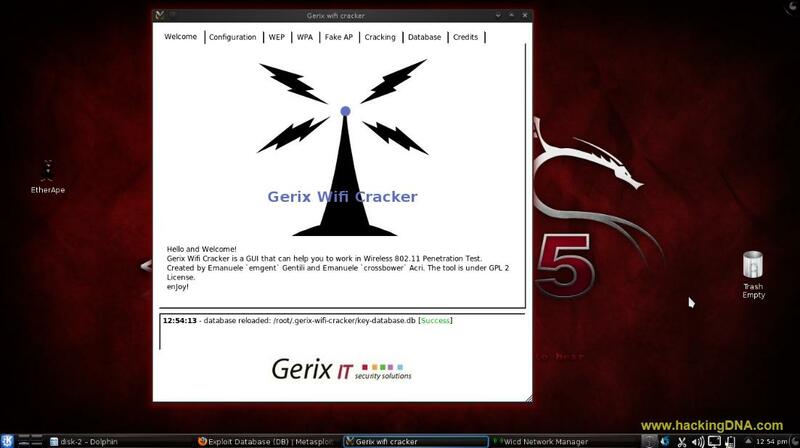 Gerix Wifi Cracker is a GUI based application which is already installed on your Backtack 5r2. Special thanks to Emanuele Gentilli and Emanuele Acri who created this tool . Its a excellent tool which make your wifi cracking a lot easier . Your first step is to click on the configuration tab . First step is to spoof the MAC Address. 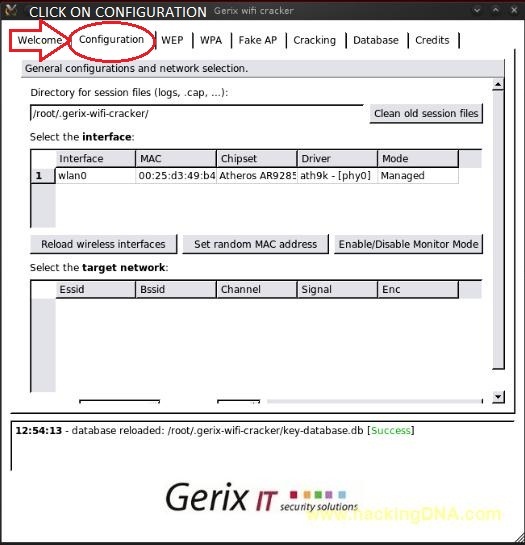 To spoof click on the Set random MAC address. 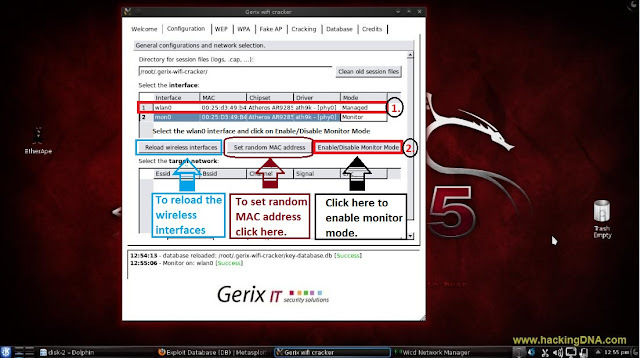 After spoofing , enable the monitor mode . To enable Monitor Mode : First select the Wlan0 interface and then click on Enable/Disable Montor Mode. 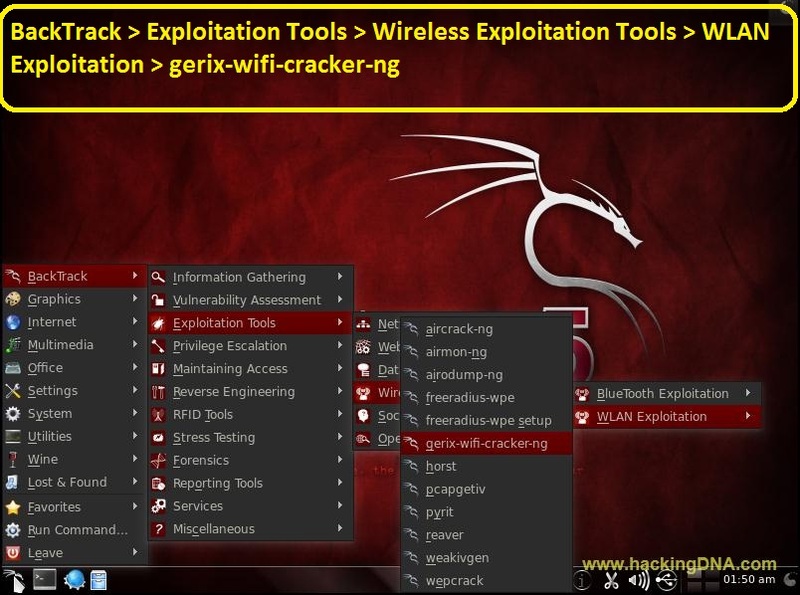 Once you completed the above steps successfully , now click on the Rescan network (as shown in the below image ) . 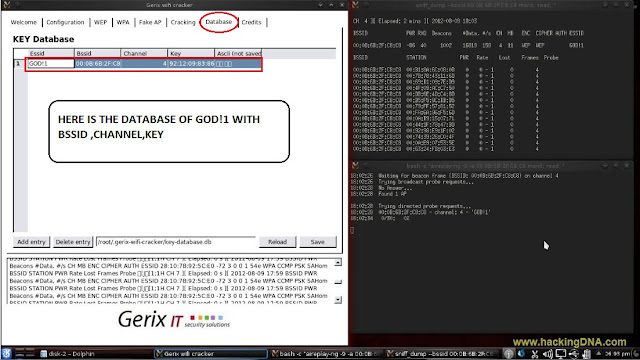 After click on a ' Rescan network ' , its shows the various network , now select 1 target as i had selected God!1 . 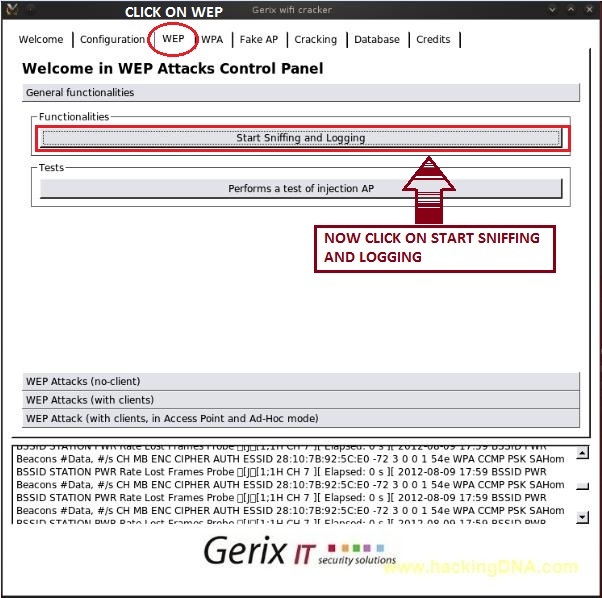 Now Click on the WEP tab and click on the ' Start Sniffing and Logging '. 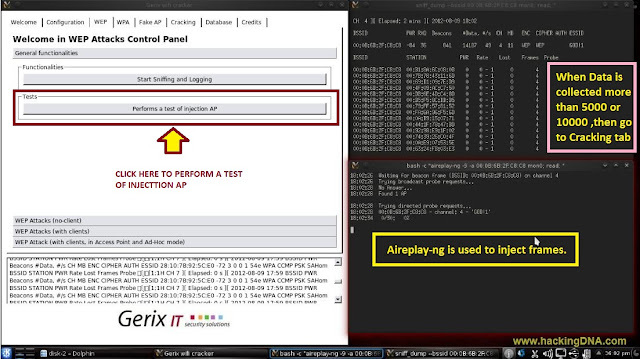 It start a new terminal named sniff dump which collect the data packets as shown in the next image . 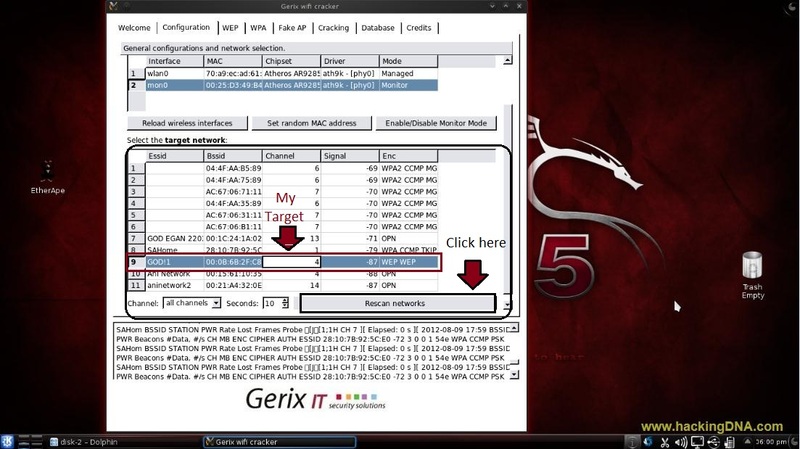 In the below image you can see that the data is start capturing . If you can't the image clearly click on the image to zoom it . 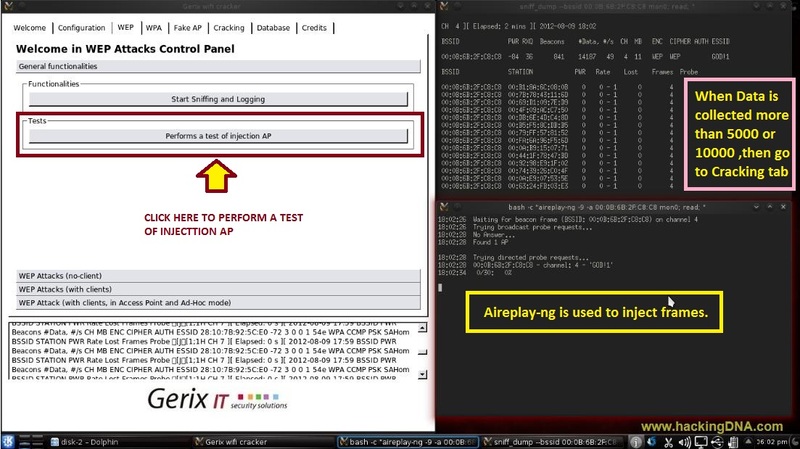 Click on the Perform a test if injection AP To verify that you are close enough to the access point . Now once you have collection more than 5000 to 10000 packets , now time to crack the encryption. 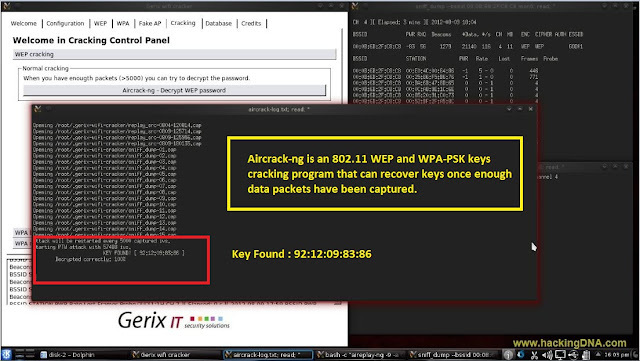 So , first go to the Cracking Tab and the click on the ' Aircrack-ng - Decrypt WEP Password '. Once you click it , the aircrack will start cracking the key . In the database tab , you can see key database . Also you can save the database in any location in your BackTrack . Note : If it fails to crack the key , then wait for more data/IV to be captured and then try again. AWESOME TUTORIAL . THANKS !!!!! key that you found is in hexadecimal ..how to convert it in our language..? it usually has ASCII key too in brackets, you can use it too.